As spooky as it seems, Halloween is nearly here which means one thing… it’s time to get stuck into some Trick or Treating! Now, we’re not the biggest experts on the tricks, but we are on the treats which is why we’ve been collating some of our most spooky and ghoulish designs on the site. All hail the Pumpkin King! Such a classic and sure to be a hit, our The Nightmare Before Christmas Jack Skellington TShirt is ideal for anyone going for a more casual look this year. We’ve had skeletons, now we’ve got zombies! 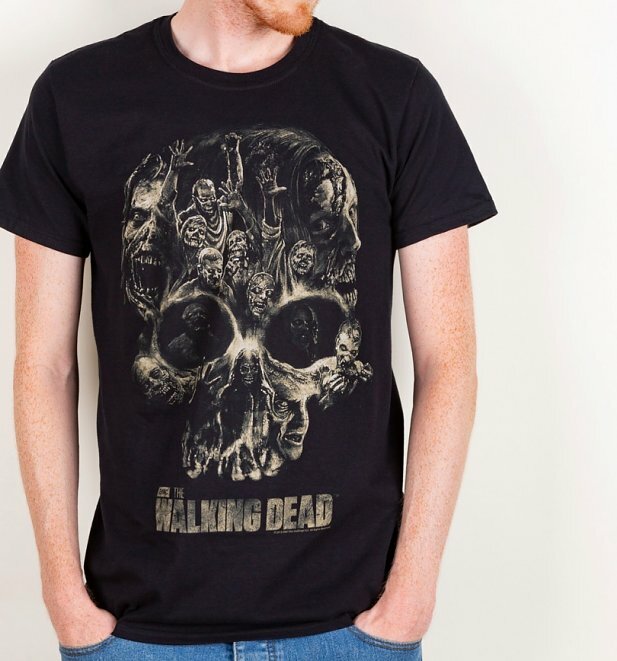 There’s nowhere to hide from the awesomeness that is our The Walking Dead Skull T-Shirt! Great Halloween find and sure to keep you going all year round. 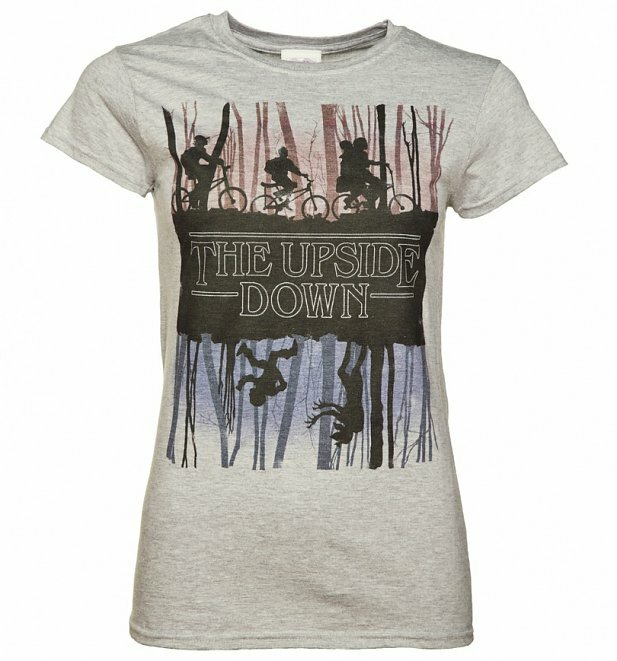 Taking Netflix and our lives by storm, add some Halloween magic to you outfit with one of our exclusive Stranger Things TShirts including this Stranger Things Inspired Upside Down T-Shirt. Such a classic! 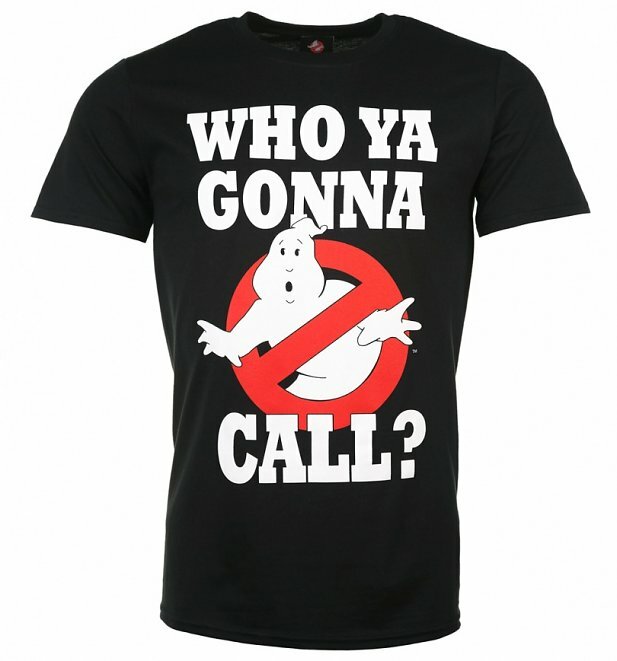 Talking of classics… they really don’t much more iconic that a Ghostbusters TShirt, right? Even just seeing this design has us humming the theme tune! Bet you are now too…. If it’s scary you’re after, surely the Addams Family is where it’s at! 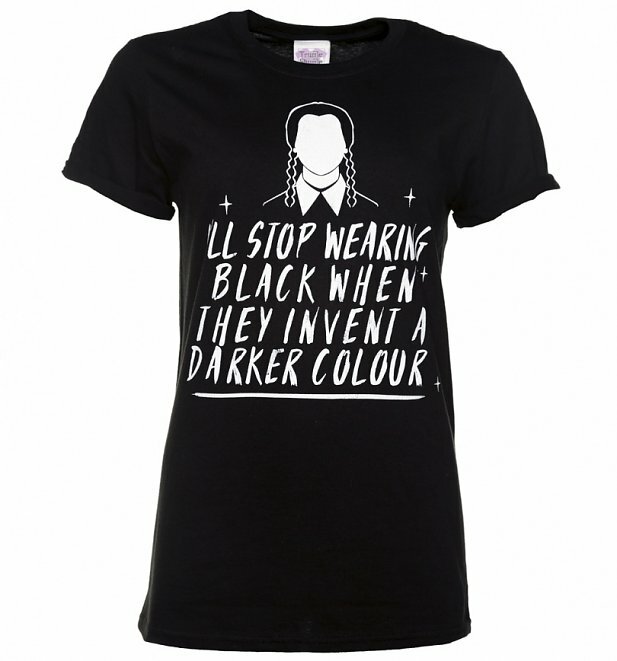 Inspired by Wednesday Addams, our exclusive I’ll stop wearing black when they invent a darker colour design is sure to be a hit with fans and comes packed with Halloween credentials. If Halloween is about sending people for cover under the duvet… our excusive Point Horror TShirts surely must get a mention! 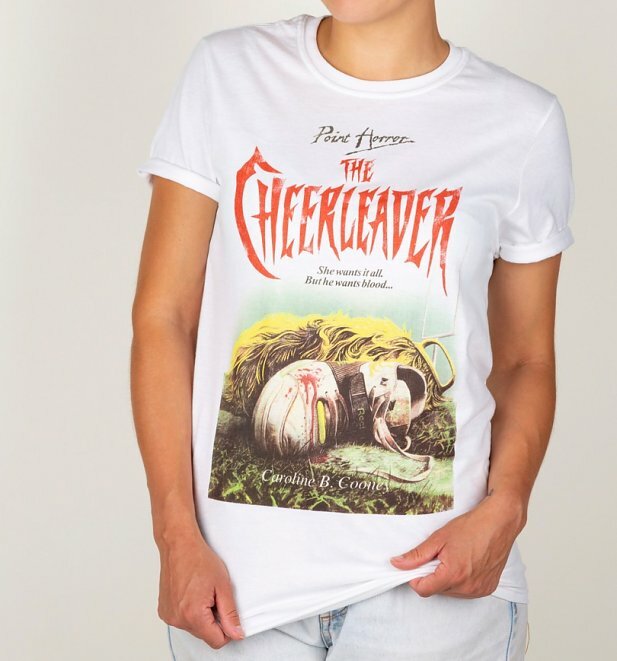 Share your love for one of the spookiest series ever made with our Point Horror The Cheerleader T-Shirt. 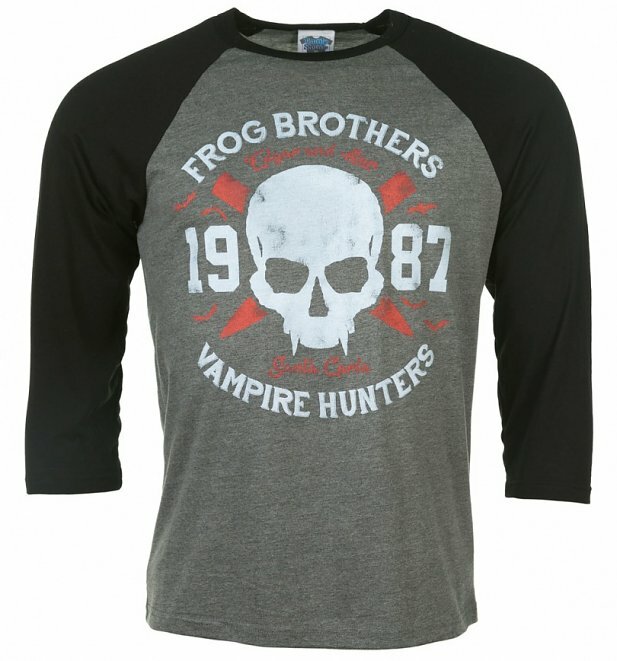 Following the Frog Brothers on their fight against vampires in Santa Carla, this exclusive Lost Boys TShirt is such a great nod to an 80s classic and an ideal way to get into the Halloween spirit without having to clean fake blood out of the carpet the next day. Will you be trick or treating this year? 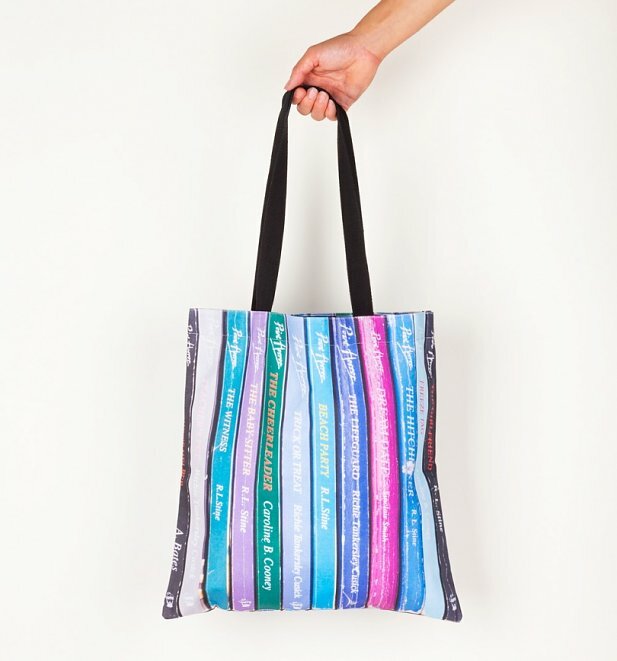 Make it a bumper haul with this Point Horror Inspired Book Spines Edge To Edge Premium Tote Bags! Sure to have you hitting the streets in style! so all these Halloween inspired designs and more, take a peep at our full collection of Halloween clothing for those looking for the casual look this year. See you there!